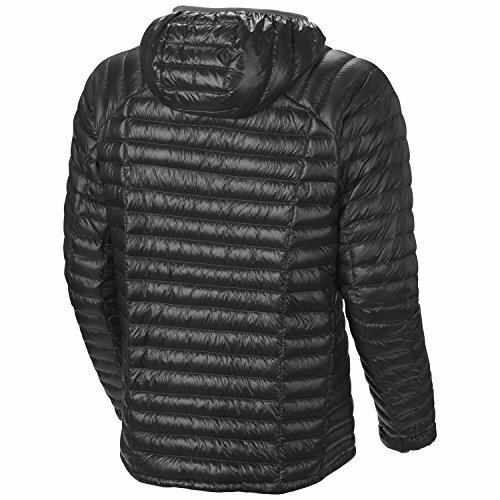 Mountain Hardwear’s apparel already competes with some of the biggest outdoor gear brands in terms of quality and design but they also produce the lightest down jacket on the market. 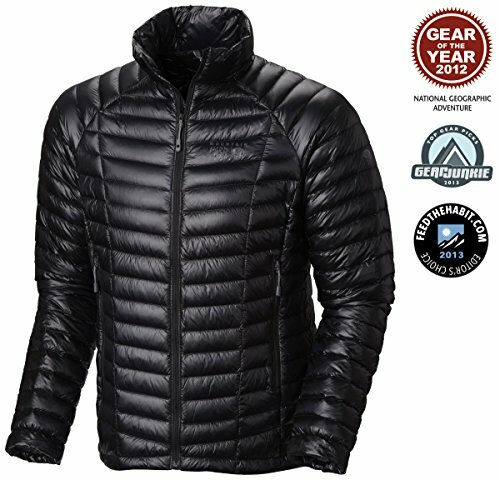 The Ghost Whisperer Jacket is, as they put it, “The world’s lightest full-featured down jacket”. This jacket is so incredibly light, weighing in under half a pound, that it’s mind boggling just how warm it is. The brand sells everything from kid’s apparel to tents but their Ghost Whispered jacket is certainly one product they are very proud of. Let’s take a closer look at what makes this jacket so impressive. Even though this jacket is fairly basic in appearance, don’t be fooled. In terms of warmth, comfort and design it easily puts other down jackets to shame. Before delving into the various advantages this jacket has over competing brands, the two major advantages of the Ghost Whisperer are weight and warmth. Weighing in between 6 and 7 ounces is astounding. Most down jackets come in at double that and still some won’t keep you as warm. There are plenty of reviews from men agreeing that this jacket with just a simple base layer (such as a long sleeve shirt) will keep them warm enough for activities in the low teens. 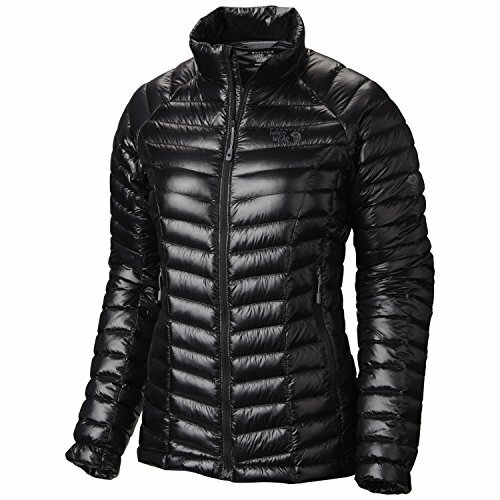 Since women run colder than men, particularly on the extremities, most women find that this jacket keeps them plenty warm around 20-40F before needing to layer up. Aside from the warmth that the Q.Shield down provides, it is also water repellent. It is resistant to moisture but even if you happen to get caught in unexpected rain, the loft of the jacket will still hold up. You definitely don’t want to purposely let this jacket get wet like that but it’s reassuring to know that the down won’t be ruined. The warmth you build up around your core also won’t be unexpectedly lost from flappy sleeves or a loose hem. The cuffs of the jacket are a “Butter Jersey” and very comfortable- no one like their wrists to feel chaffed from rigid fabric. Elastic within the cuffs are strong enough to prevent drafts and water drips but not so tight it is uncomfortable. The hem adjustment is inside of the jacket and by simply pulling the toggle you can cinch it down. 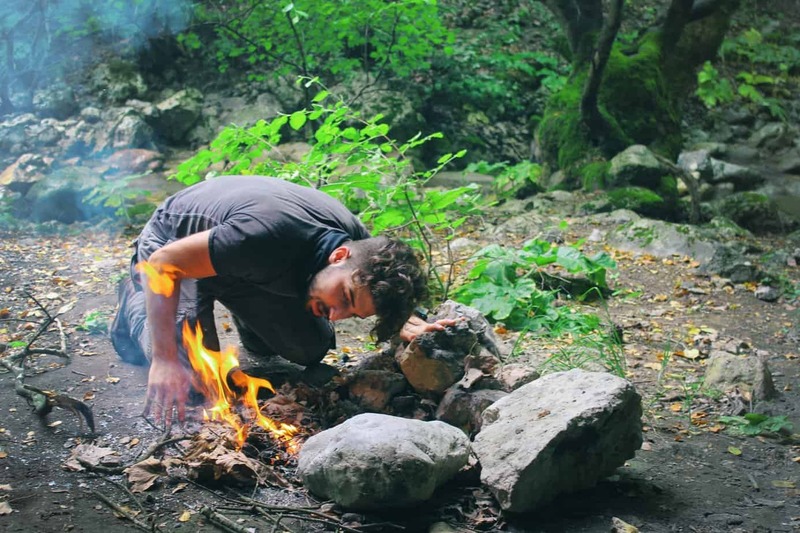 Backpackers or those who participate in activities where every pound counts will not only be happy with the weight but also the “packability” of the Ghost Whisperer. The jacket can be compressed down to fit into its own pocket. Once stuffed down into the pocket you can throw it in your backpack. Even for around the town causal use it’s nice to be able to shrink a full-size down jacket into something that you can stick in your bag or glove box. The jacket pocket also has a loop that you can use for attaching a clip or carabiner to for quick storage. Last but not least, the overall design and appearance of this jacket is well-liked by many. The jacket itself looks really nice. Both of the men’s and women’s jackets come in a nice array of colors and most anyone will be able to find the right size within the options. 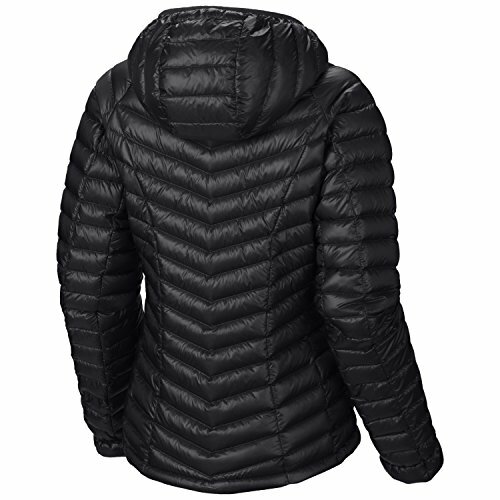 It is quilted which gives it a sleek and unique appearance- a benefit for those who don’t like overly puffy down jacket. The active fit shape also helps to reduce bulkiness or boxiness in the way this jacket fits. The length is also long enough to prevent lifting while bending for vast majority of people. Despite all of the numerous strengths this jacket has, there are a few potential downsides that should be kept in mind before making the purchase. If you compare men’s vs women’s reviews of the jacket you will find that most of the less than 5 star ratings are on the women’s model. The most common issue with the women’s jacket is the shape isn’t quite tapered enough around the hips and waist. Women with very curvy bodies or pronounced hips may find that the jacket gets stuck on the hip while moving, which means the woman has to tug the jacket back down. There really aren’t fit issues with the men’s model. Another design downside is that both jackets have a bit of a metallic sheen as mentioned earlier. It isn’t quite glossy but definitely not matte- there is a bit of a shine. Men may find that this finish makes the jacket seem feminine. Both genders may also find that this shine can make the jacket look a bit cheap. Obviously, this is personal opinion but still worth mentioning if you are very conscious about the way you dress. Finally, while the jacket is quite durable against weather-related elements, it isn’t quite as durable as physical elements. If it sold as a jacket for alpine climbing but keep in mind that tears are possible if you try to go through backcountry with heavy brush just waiting to snag your clothes. This really goes for any light down jacket as the company naturally has to decrease materials somewhere in order to get that super low total weight. Summing it all up, the Ghost Whispered Jacket is a decently priced piece of outerwear that is perfect for everything from snowshoeing to hiking on trails. It is ridiculously lightweight and feels very airy, like you aren’t even wearing a jacket. Despite this the jacket is like a heater- easily keeping you warm with minimal layering in the low teens and below. 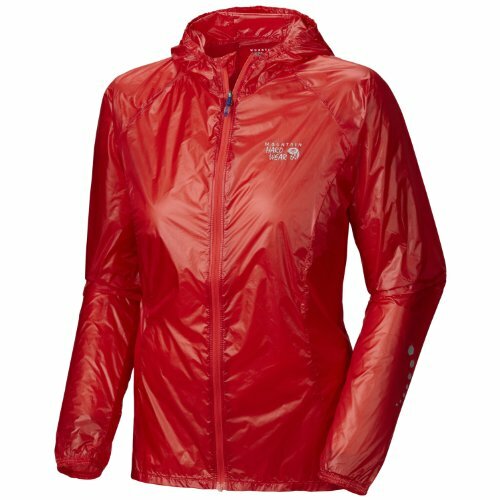 If you do go adventuring in very wet or snowy weather you should consider a lightweight rain shell to go over this jacket.